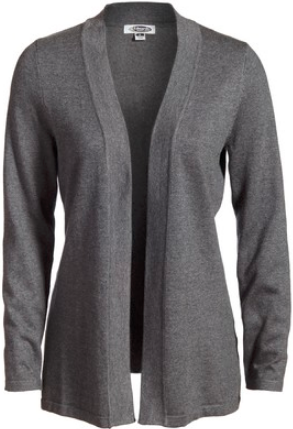 Open cardigan has a flattering silhouette with a smooth and easy drape. Soft and delicate this fine gauge sweater complements any outfit. Perfect for the office or out on the town. When embroidering this sweater, please note that chest logos can be a maximum of 2” wide.